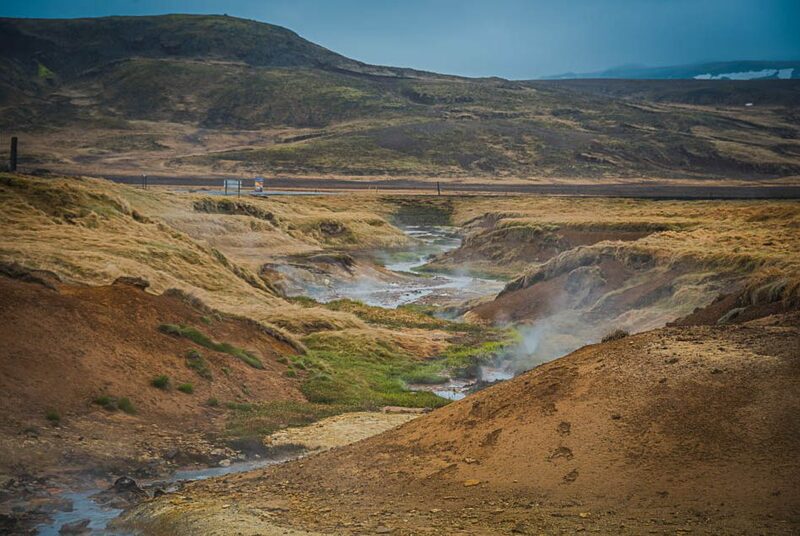 The geothermal area Krysuvik is in the middle of the Reykjanes peninsula, a short drive from the Blue Lagoon and the airport. 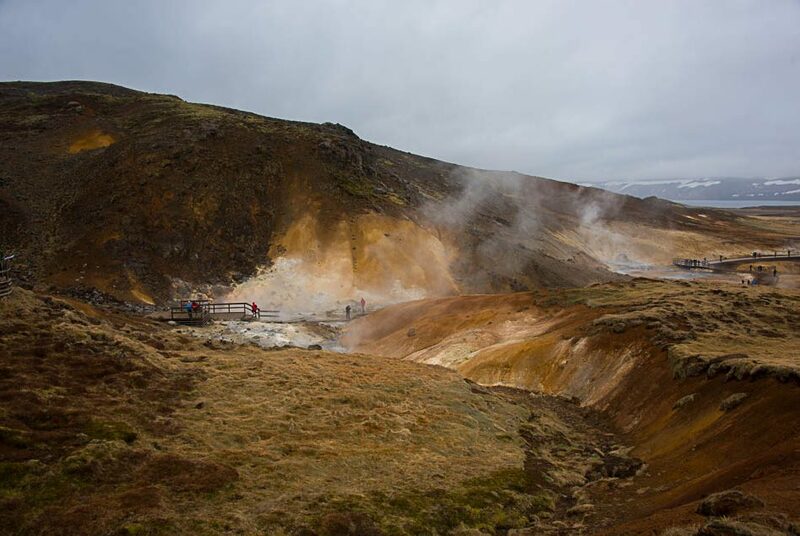 It has several geothermal fields stretched out along the volcanically active zone that runs diagonally through Iceland, along the Mid-Atlantic ridge from southwest to northeast. 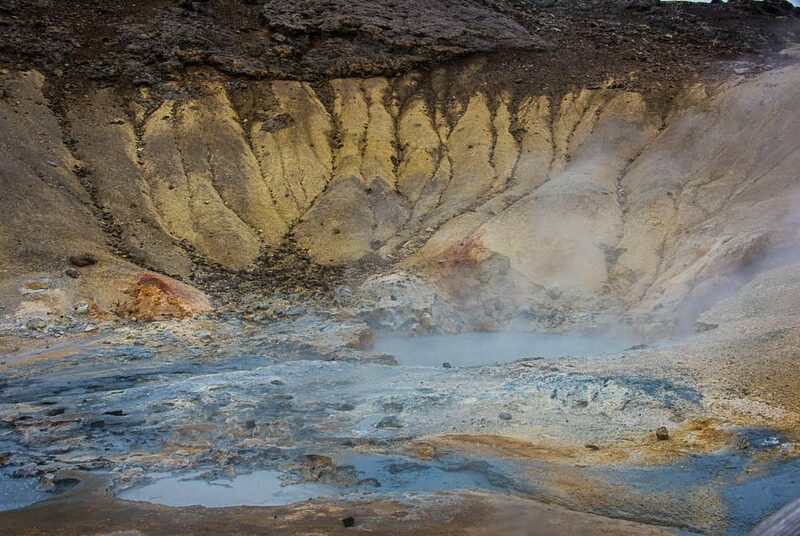 Seltún is a small vale bubbling with hot springs, mud pots, and even a few more energetic volcanic vents (solfataras). 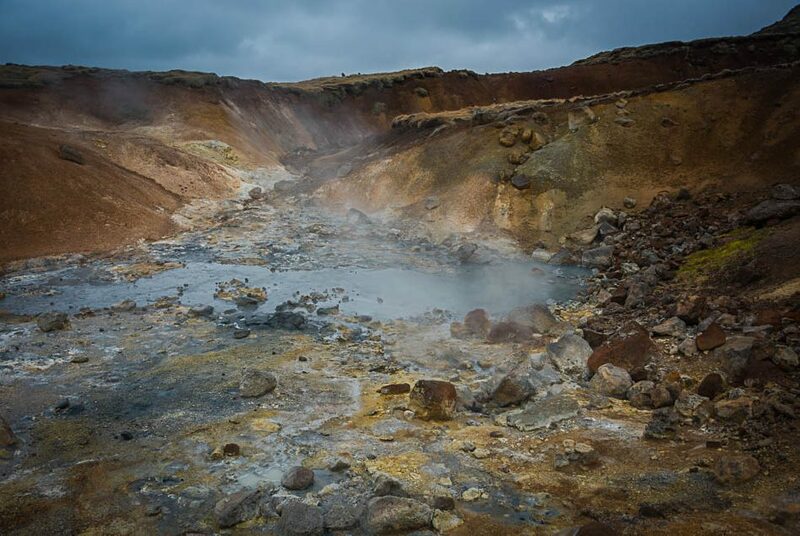 The water is boiling where it emerges from the ground, and the pots are a kaleidescope of colors from the dissolved minerals being burped up from the ground– blue, green, red, yellow. Sulphur was mined in the region in the 19th and 18th centuries. 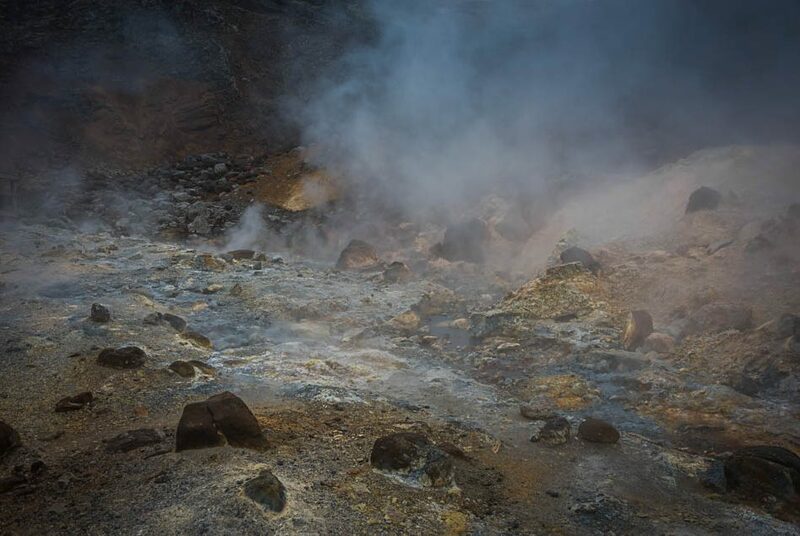 In 1999, a borehole drilled here to harness geothermal energy exploded — a man-made geyser that took out the tourist cafe — and the geothermal field was abandoned as a power source. The thirty meter crater that remains still steams a bit. There are sturdy wooden walkways across the main part of the site, with railings. They have been recently moved and replaced, as the ground here shifts unpredictably. Muddy paths lead up the hills from the boiling mud pots to overlook the site. 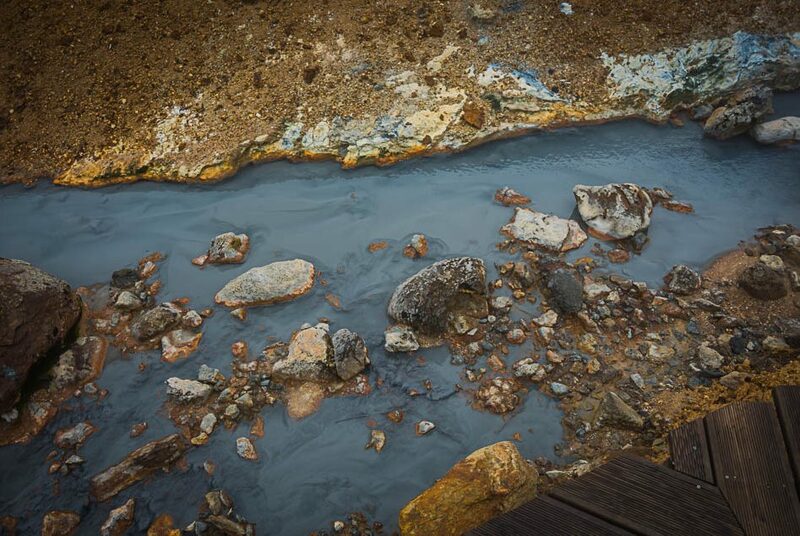 You’ll likely reek of sulphur after a visit here, but you get used to it quickly. There is a small parking lot serving Seltún, but no other facilities. Seltún is near Kleifarvatn, a huge ground-water fed lake with some spectacular views and Graenavatn, a small maar (groundwater explosion crater) filled with bright turquoise water. Both of these lakes are along Route 42 and have parking areas nearby. N63° 53' 49.064" W22° 3' 17.117"